Christmas Day in Midland County Jail. Click here for article. 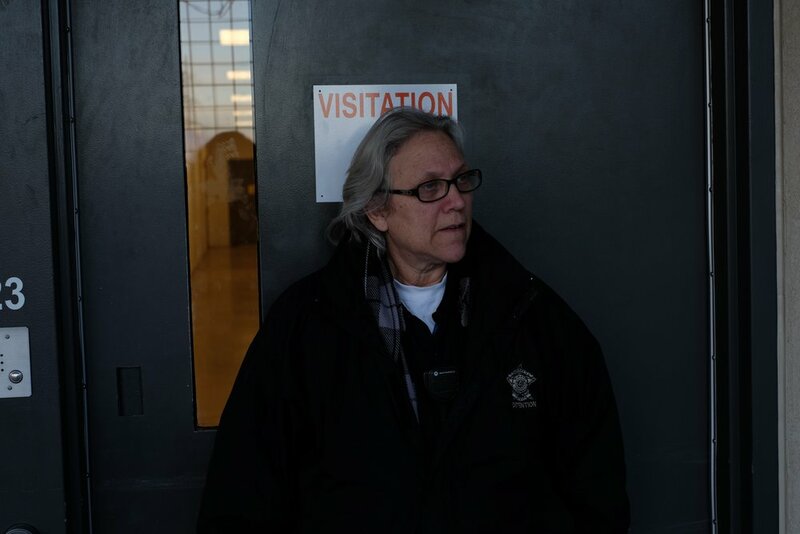 Patterson escorts inmates back from medical. Christmas Day, 2015. 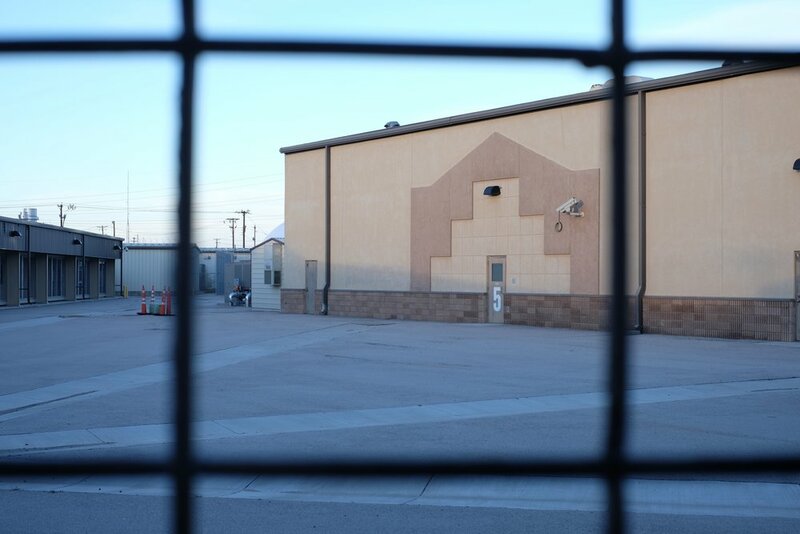 A screen shows one of the main hallways in the Midland County jail on Christmas Day, 2015. 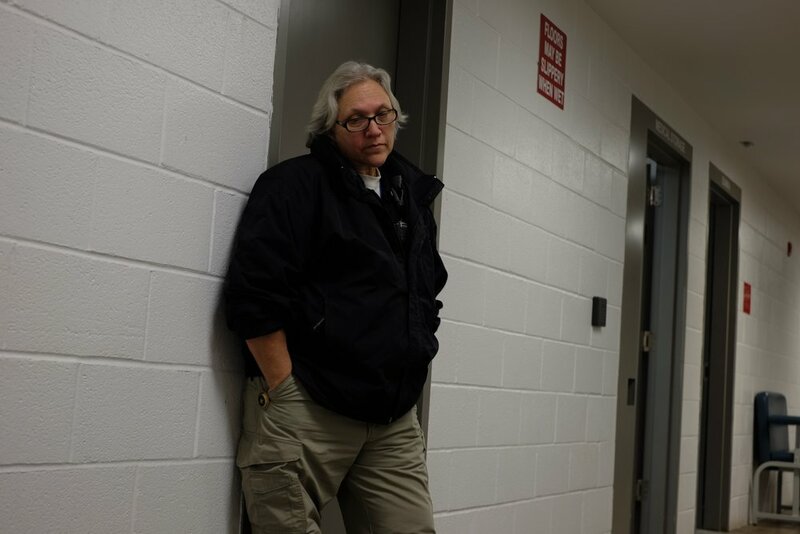 Corporal Rebecca Patterson, a jailer, waits for an inmate in medical. Christmas Day, 2015. Patterson brings snacks in a plastic bag. Her day starts at 6:30 in the morning. She works 8 hour, sometimes 16 hour shifts in the jail. Christmas Day, 2015. 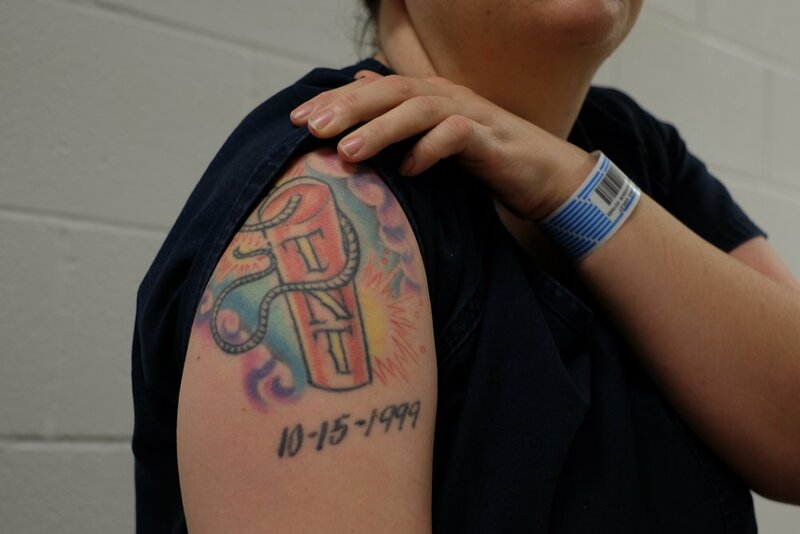 An inmate shows her tattoo. The date is the date when her mother died. 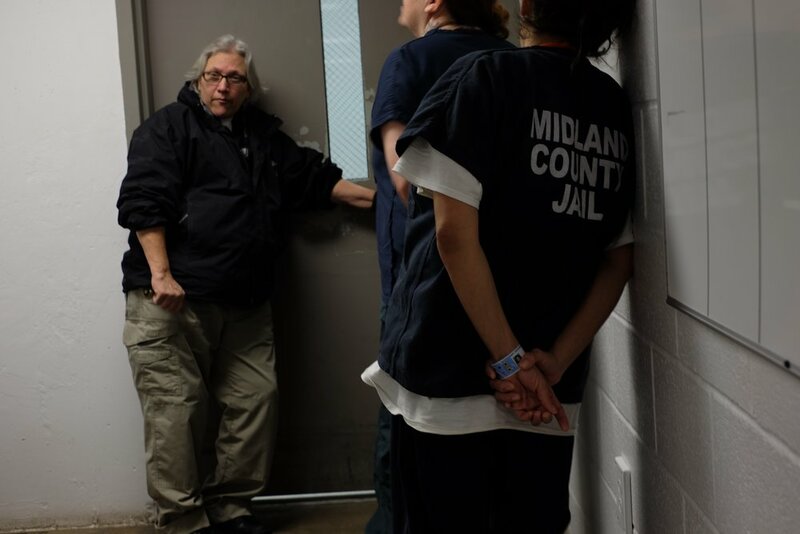 This is her first day in Midland County jail. She had just been transferred after a year in TDC. Christmas Day, 2015. 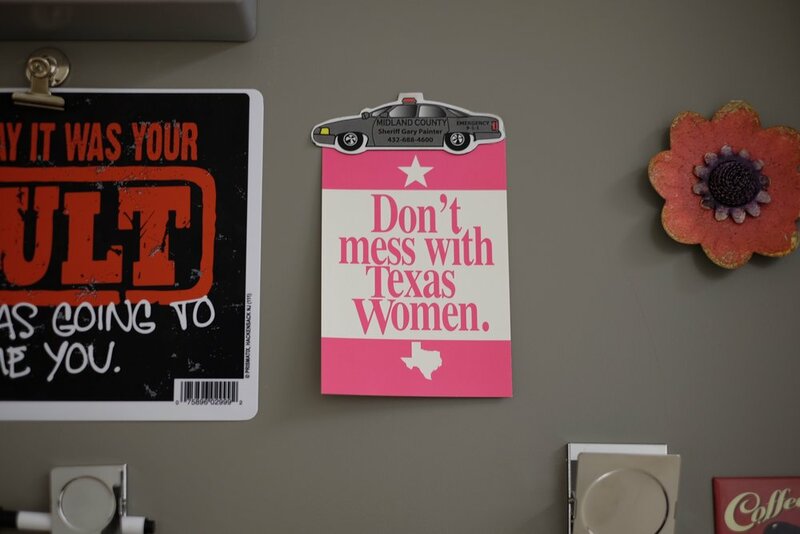 A Christmas card from the inmates Patterson oversees in C-block. Christmas Day, 2015. 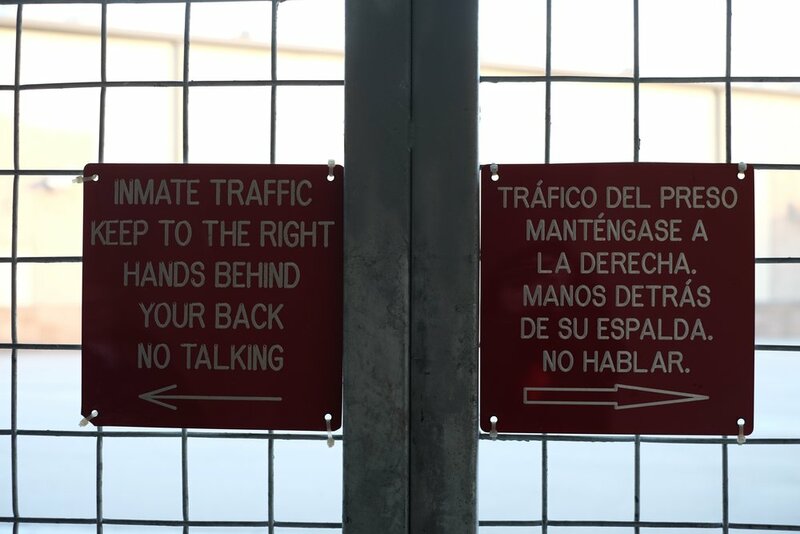 A door to an office of a jail employee. Christmas Day, 2015. 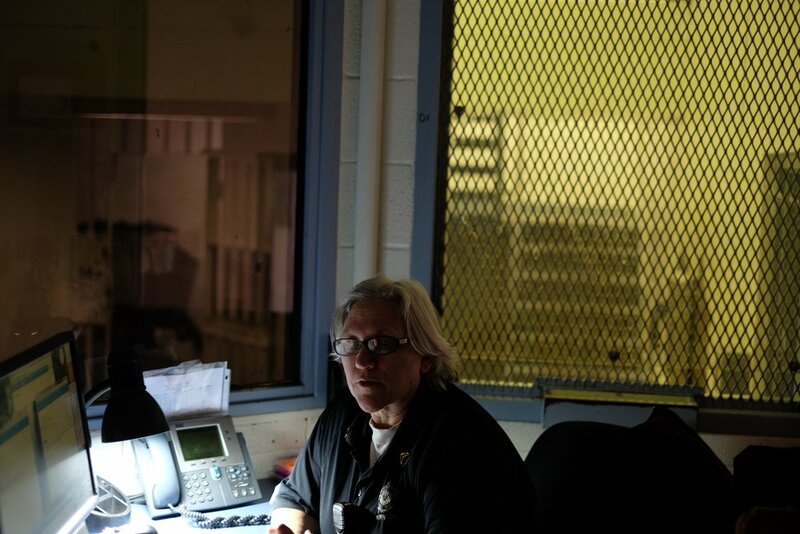 Patterson talks to an inmate in G-block, a dormitory-style male block. She assists Officer Steven Lewis, background, in security checks every 45 minutes. Christmas Day, 2015. 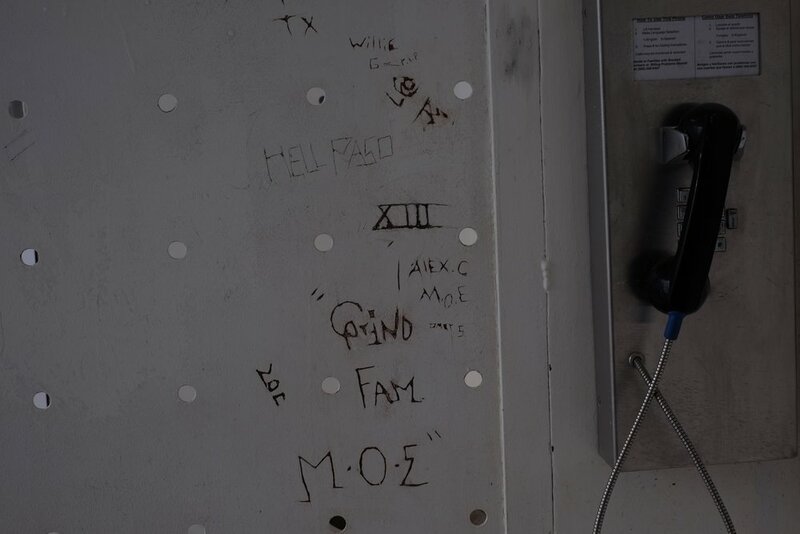 "El Mexicano" is carved into a table in c-block, one of the all-female dorms. The flaking paint on the tables smells and has been giving the inmates headaches, the women said. Christmas Day, 2015. 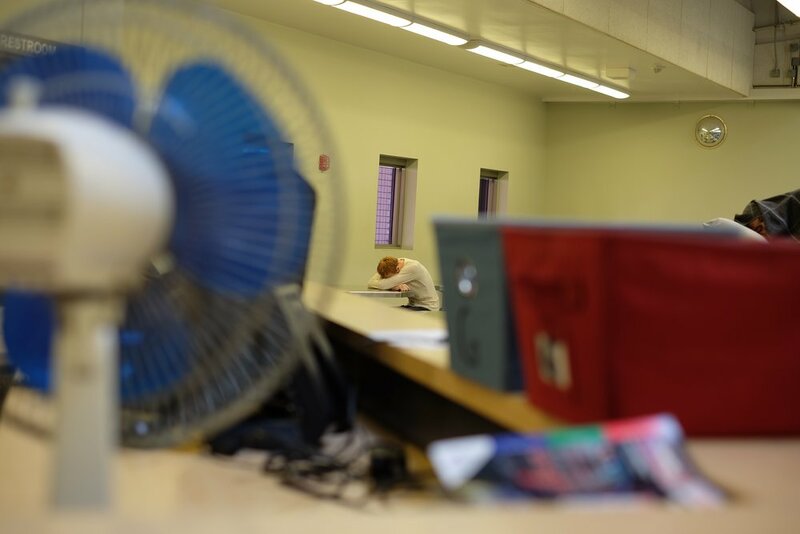 Patterson looks for a commissary sheet in a file cabinet in the "pod" overlooking D and C block, where she spends most of her day. Christmas Day, 2015. 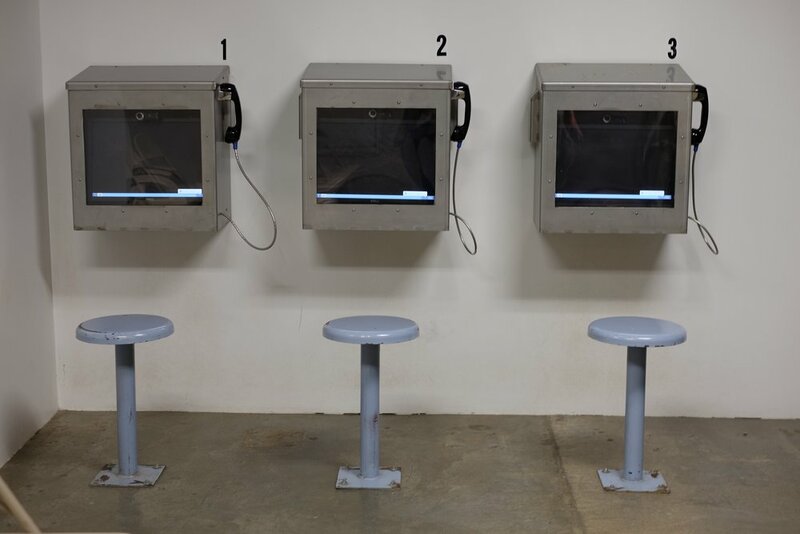 A visitation area where inmates can Skype family members and friends on their visitation list. There was no visitation Christmas Day. G block, a dormitory style medium and minimum security male block. Christmas Day, 2015. Patterson does a security check in G block. Most of the inmates sleep all morning. Christmas Day, 2015. Janice Stephenson, a jail nurse, sings "Holy Night" as she walks to the next block where she is delivering medicines. Most inmates with prescriptions have their meds delivered twice a day, unless more is required. Christmas Day, 2015. Lunch on Christmas Day. It was business as usual despite the holiday. 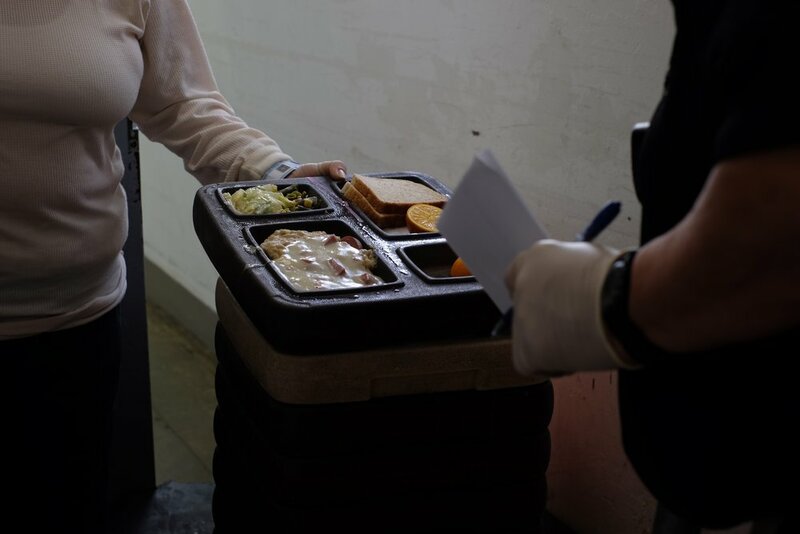 The inmates stated that they don't get enough food and the food they get is terrible. Visitation is four days a week: Saturday, Sunday, Monday, and Tuesday. There was no additional visitation on Christmas. The recreation area in C and D block. Christmas Day, 2015. Flamenco class at the Hispanic Cultural Center of Midland. Midland, TX. Click here for article.